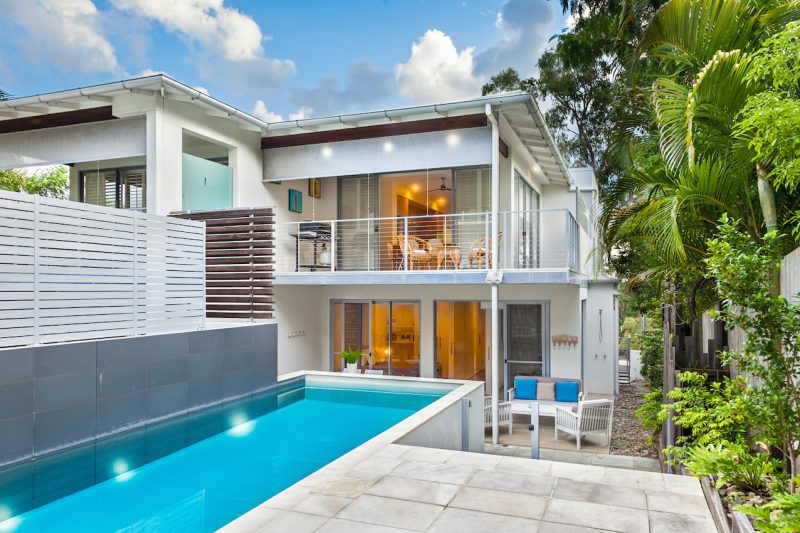 Just a 2-minute drive, or 10-minute walk from Noosa Main Beach, 1/28 Grant Street is a stunning 3-bedroom modern house with an outdoor pool. 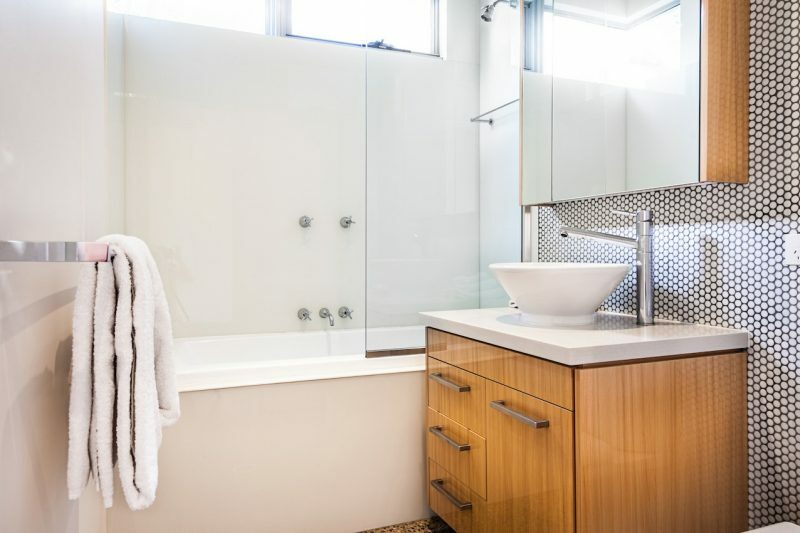 The master suite features a king bed and ensuite, while the 2nd bedroom has a queen bed. 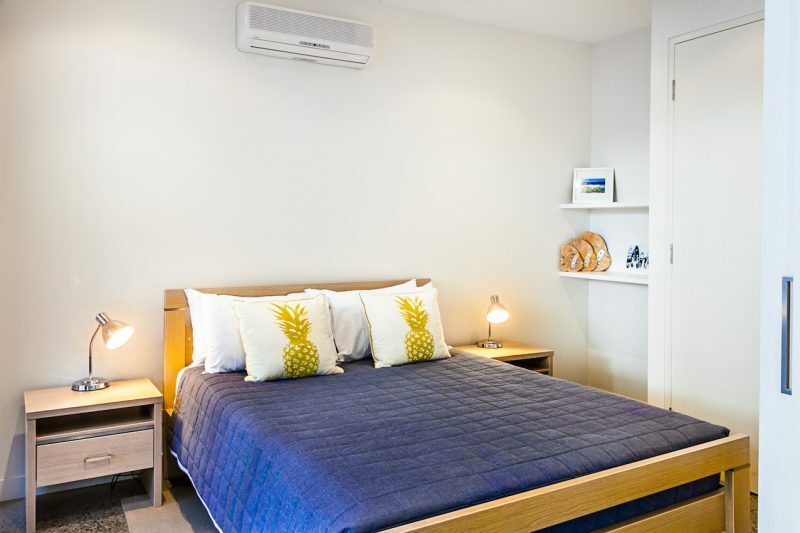 There is a single bed in a smaller 3rd bedroom, with a trundle underneath. 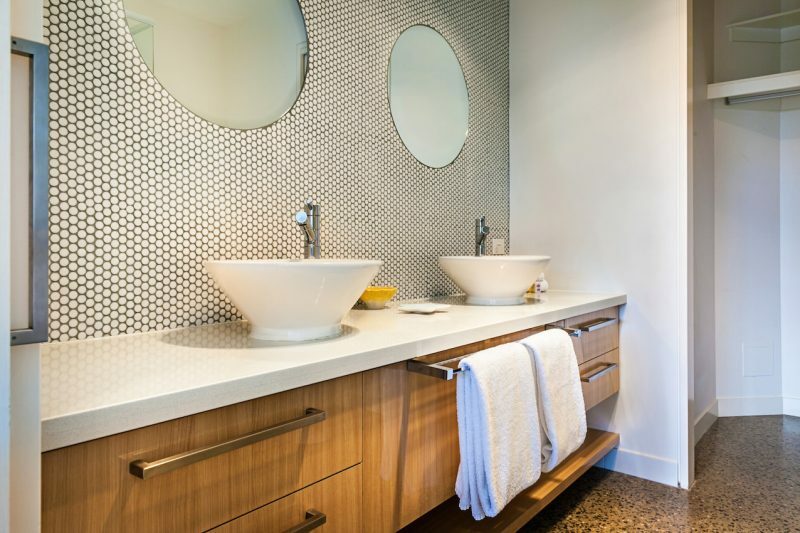 Both of these bedrooms share a bathroom. 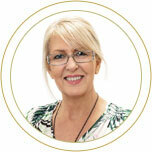 The house is deceptively spacious, with a fully equipped kitchen and dining/lounge area with TV and DVD player. 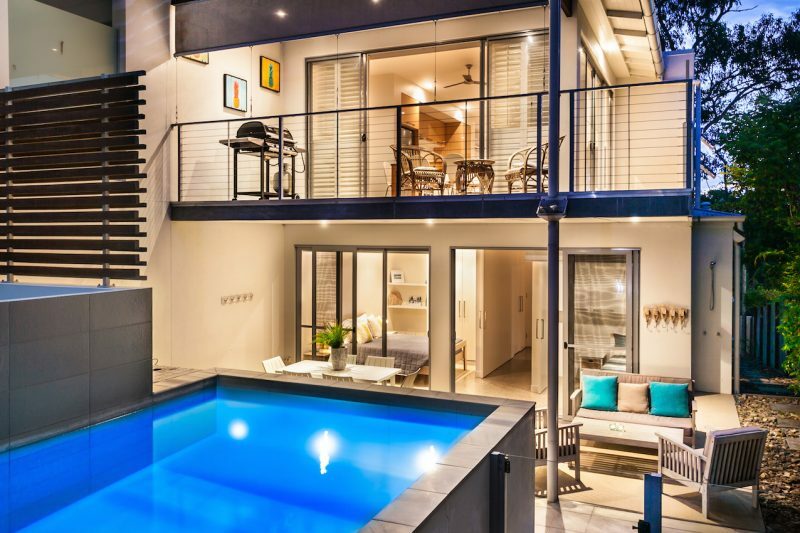 The balcony on this level has views over the beautiful pool area. The house is air-conditioned. On the ground level, there is an outdoor dining area with BBQ and double undercover parking. Laundry facilities are provided. Free WiFi is available. 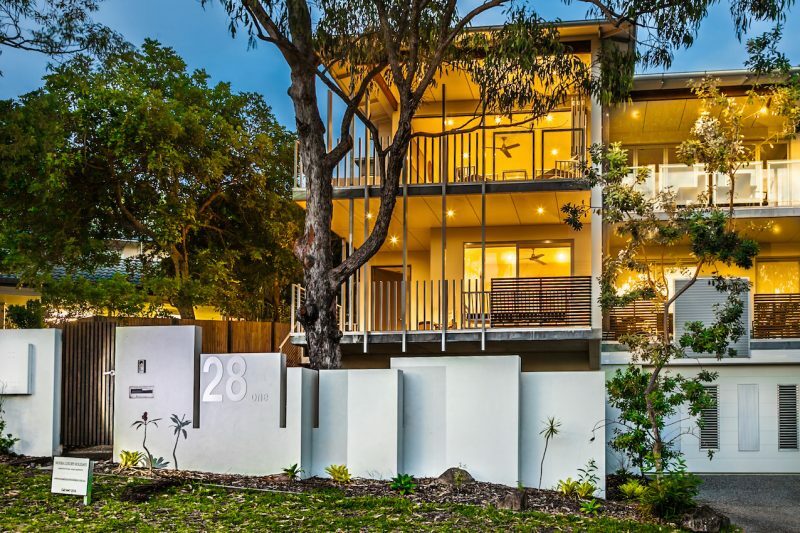 1/28 Grant Street is very close to Sunshine Beach Road in bustling Noosa Junction. Here you’ll find a wide variety of cafes and restaurants to suit all budgets. There is also a cinema, theatre, supermarkets and retail outlets. 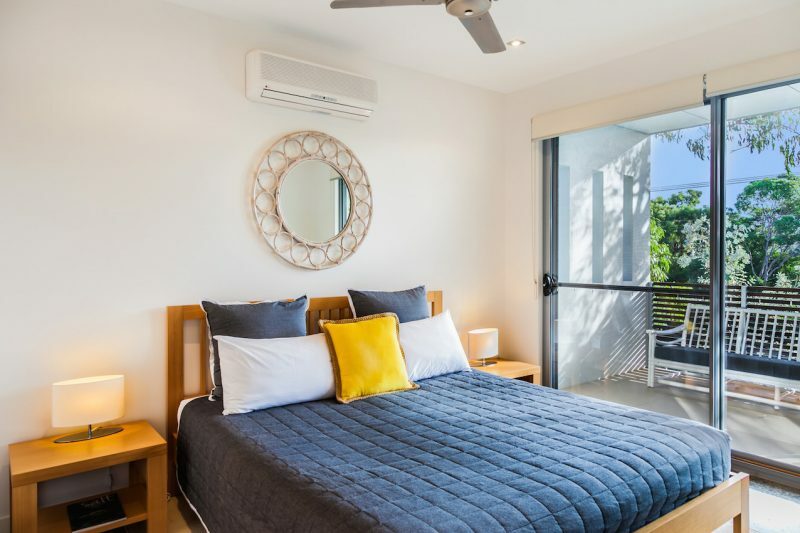 According to independent reviews, this is consistently one of our guests’ favourite part of Noosa Heads. 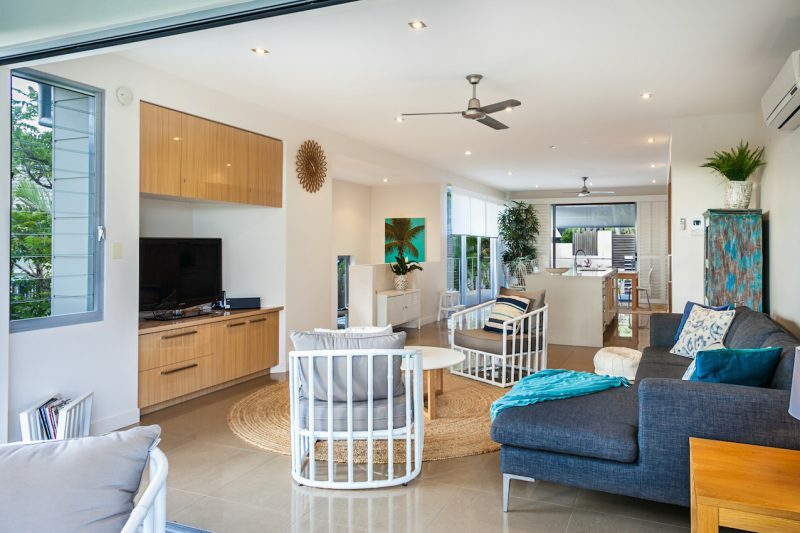 Contact us today on 1300 810 944 or submit an enquiry and let us arrange your next Noosa luxury holiday accommodation at 1/28 Grant Street. 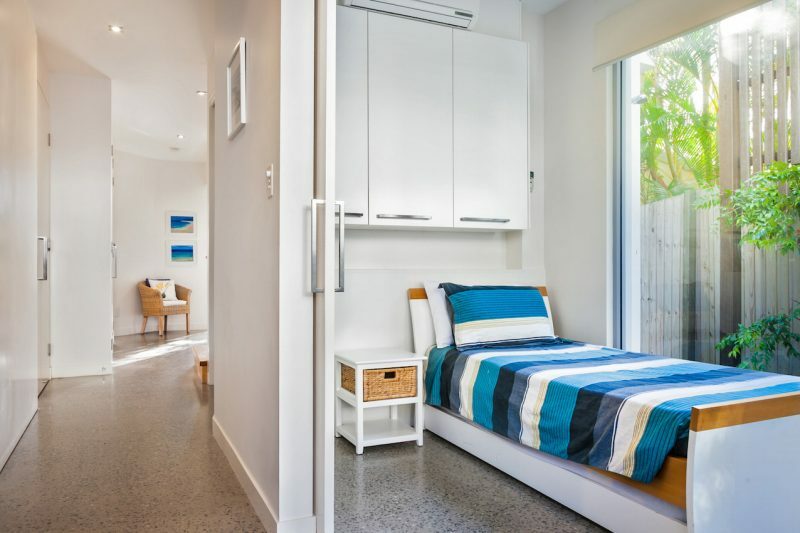 Unfortunately we do not take schoolies bookings at this property. Service was great, even when we locked our keys inside one night, we were able to get a new set right away. Location and accommodation of the home is fantastic. Would definitely recommend. 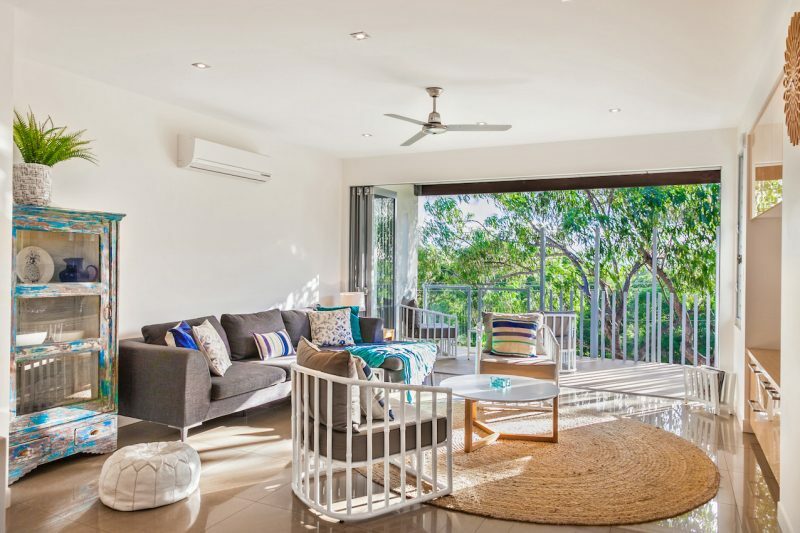 Beautiful place to stay, right in the heart of Noosa junction. 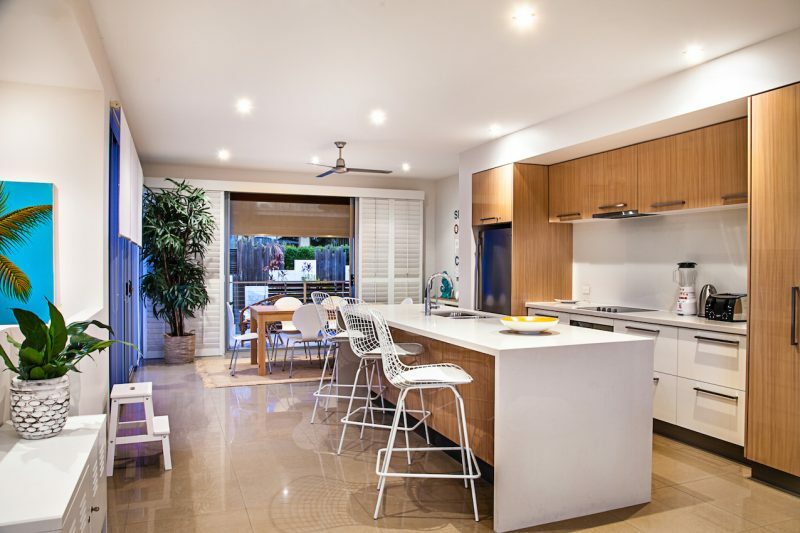 Less than a 5 minute walk to all the shops and supermarkets in Noosa junction. As for the place, very clean and modern! Lots of light and decks to enjoy the Queensland weather. Great place, spent 10 days with the family (two young kids) and everything that we needed was there. Would stay again. Thanks for the stay it was amazing! Excellent home to stay in with family’s. We had 4 adults and 2 kids, there was more than enough room for us all. 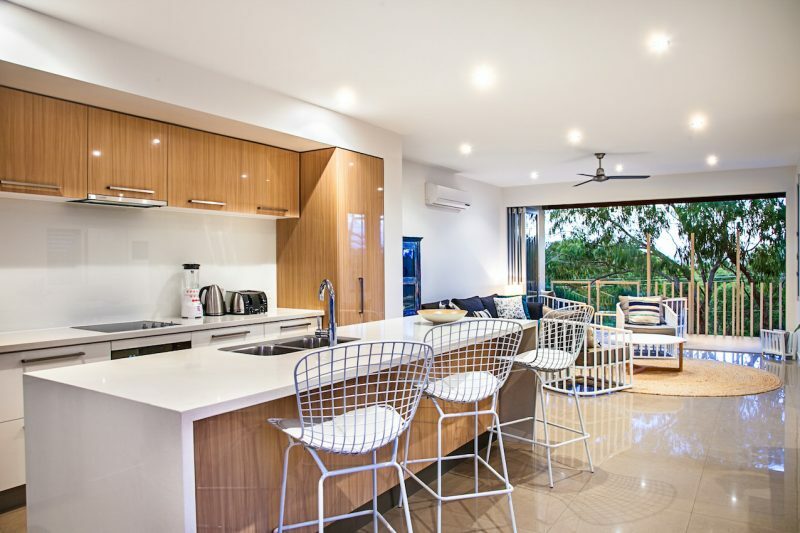 Convenient location close to Noosa Junction but far enough away to not be near all the hustle and bustle of Hastings Street.